When Should You Resend Emails? Your business has a special offer and you want to share it with all your contacts, you send an email telling your contacts about the offer and how to take advantage of it. As with any email marketing campaign, you will measure the success of the email in terms of the number of recipients that opened the email and number who clicked on the call to action link. Your analytics tells you that a quarter of recipients opened the email and even fewer clicked on the call to action link, what should you do next? Should you resend the email? When was the email sent: the time and day that the email was sent can affect open and click through rates. Consider when your audience is likely to be looking at emails. The traditional approach of sending emails is in the middle of the week and in the middle of the day. It’s worth considering that other businesses adopt this method and therefore increase competition for open rates. Analyse the data of your previous email campaigns to understand the best time and day to reach your audience. How long has it been since sending the email: have you left an appropriate amount of time since sending the original email? Look at the data from previous email campaigns to determine average time it took people to open the email. Compatibility: did you test how your email would display on multiple devices such as android and iOS mobile phones and tablets, different email clients i.e. Outlook and web browsers i.e. Google Chrome, Safari, Firefox, Internet Explorer. Subject line: was it too long or too short, did it accurately describe the purpose of the email, did it get intercepted by spam filters and was the subject line of interest to your audience. Research suggests that the optimum length for email subject lines for increased open rates is 50 characters or less. Email message: was the message clear, concise and relevant to your audience, did the original email contain spelling or grammar mistakes, was the email too lengthy or could the layout of the email be improved. Call to action: was the offer relevant to your audience and was the call to action prominent. Whilst resending an email could improve your open and click rates, you should also consider any negative effects from resending the email. For example, continually sending the same message to your contacts could lead to an increase in the number of people who opt out of receiving your emails. So, if you are considering resending an email we recommend that first make sure you have reviewed the original email and made any improvements, make sure you understand the data you have from previous email campaigns in terms of opening times, open and click rates, day of the week and time sent. 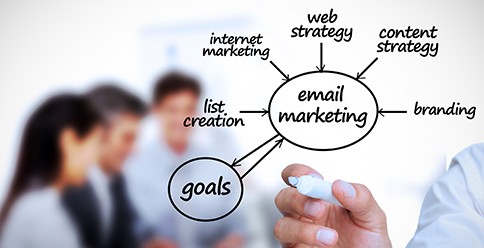 Email marketing is a powerful way to connect with customers, we can help you use it effectively, get in touch with Blackberry Design on 01527 517309 or fill in our contact form.